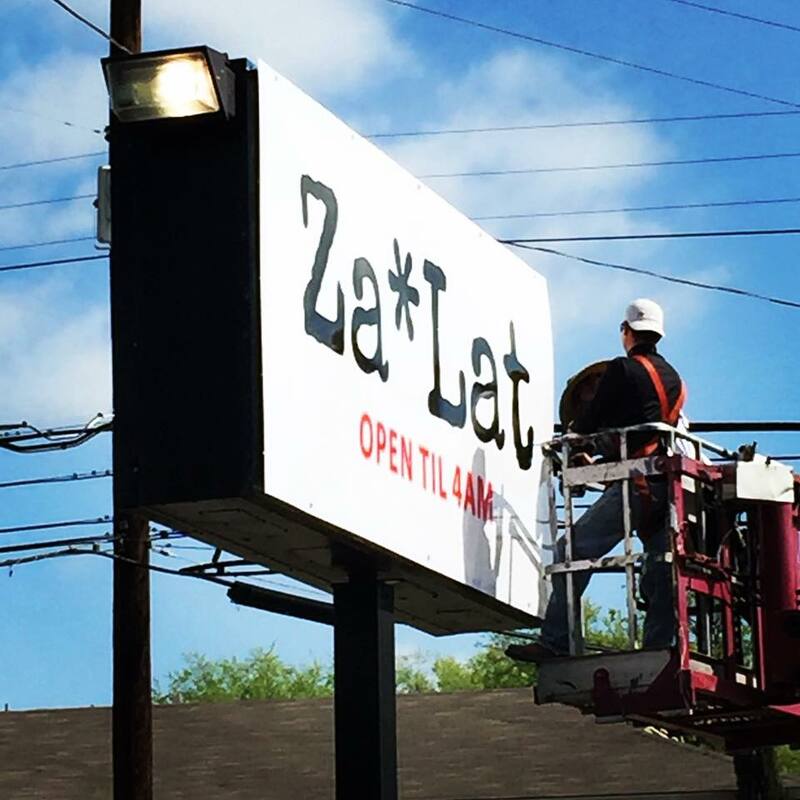 It has been just over a month since Khanh Nguyen opened his new pizza haunt ZaLat next door to his famous late night pho restaurant DaLat on Fitzhugh in Dallas. Since then he has had a growing number of fans take advantage of the delivery service which roughly covers a five mile radius of the new shop. Since we broke the story most of the Dallas media picked up on the fact that Khanh is actually making one of the best pizzas around – and for good reason. Nguyen has had many of the city’s top chefs consult with him on the pizzas. One very well known, and unnamed chef who hails from New York stopped in to sample a pre-opening test pie and said it was the “best crust he has had in Dallas, ever!” Nguyen has picked up many friends that are great chefs since he is often at DalLat late at night when these pros are getting off work. The pizza chef is Jonathan Parker whose resume includes the Green Room, Libertine, The Grape and Restaurant Ava. Parker grew up in a Jewish household, but for some reason his father loved Vietnamese food. So they ate Vietnamese every night and the chef has a distinct Vietnamese palate. That’s how the two became friends. You will not find wings, sandwiches, or other non-pizza items on the menu. For now Zalat will be BYOB. Look for the pies at ZaLat to range from $10 to $20. The restaurant is due to go fully operational tomorrow with its grand opening at 5pm and will now deliver on into the night, which is a very late 4am. Do not forget to order our namesake pizza, the Crave. We hear it is the number two seller right behind pepperoni.